Come Experience the deep satisfaction of the 200 hr Yoga Teacher Training Courses @ Ajarya, a Registered Yoga School with Yoga Alliance. you will gain not only physical proficiency but also a deep knowledge of yoga that will truly overwhelm you. so that interested students of one TTC, can further their learning of the next TTC by extending their stay. 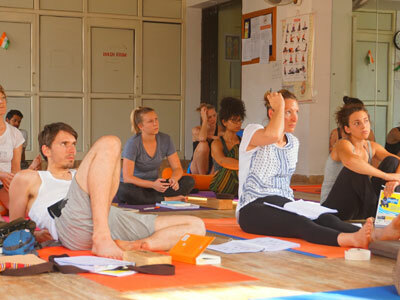 Our Ashtanga Teacher Training is a power-packed training course. Over 4 weeks and 200 hrs of learning and practicing, this intense asana focuses on strengthening the body and mind along with the flow of energy. Hatha yoga training helps you to bridge the gap between the body and the higher state of consciousness. The practice boosts the overall health of the body and balances the flow of energy. 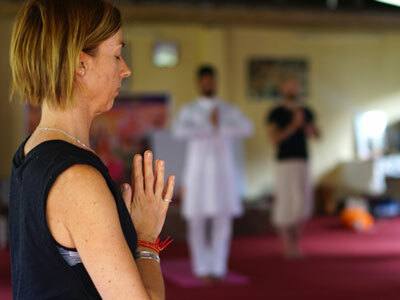 Are you searching for a school which can clear all your yoga related doubts? Do you seek certificate course in Yoga? Do you wish to explore the depths of yoga with perfection? Don't worry- Your quest is over. What makes the courses special & uniquely different! Highly Qualified, Certified, trained Teachers – High levels of Experience to innovate / customize based on Student absorption levels. Oodles of Compassion – Through this approach to teaching and learning, you will ‘live’ Yoga during the Course. Is your yoga learning accepted across the world? 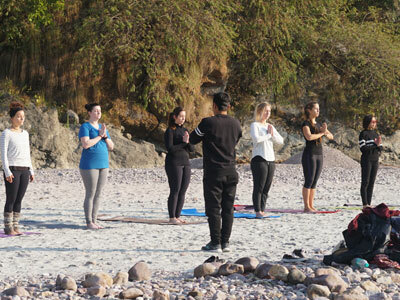 Ajarya’s Yoga Teacher Training In India is Internationally Registered with Yoga Alliance. 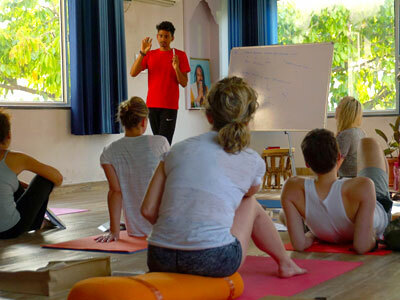 Upon successful completion of our Yoga Teacher Training Course you are automatically an RYT (Registered Yoga Teacher), suitable to teach Yoga internationally. Having a genuine inquisitiveness & hunger for knowledge through a genuine teacher? 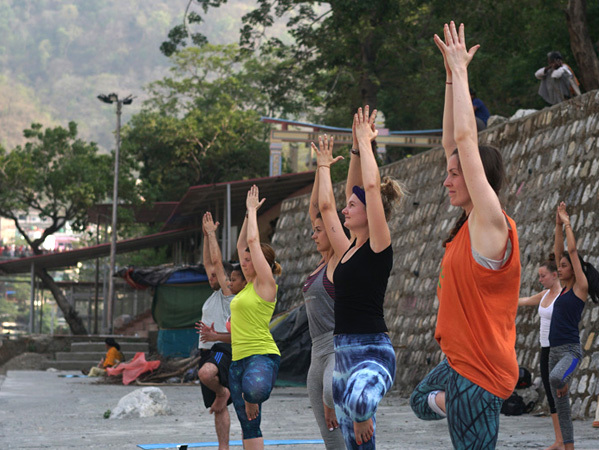 I came to India to learn the traditional roots of yoga and that was exactly what I received. The yoga teacher taught with a genuine desire to pass on the knowledge so that the benefits of yoga could then be shared within our own community. Through contemplations of the philosophic basis of yoga, the practices, I personally felt an inner shift within myself and the group. We all experienced improved wellness, in only one month and witnessed this growth. I can now acknowledge the power of yoga. Thank you so much. I hope I can touch others in my life and help people increase wellness the way I have experienced. Thank you. Namaste! All three teachers went above and beyond my expectations. It has been a real privilege to be taught by such knowledgeable, patient and fun teachers. The trips to ashrams, markets, the water fall & rafting were all awesome fun and were beyond what would be expected – the teachers gave have up their all time to make this time with ajarya more than just a course- it has been a fantastic experience. It has been a very genuine and thorough course. Thank you. Thank you Ajarya for a fantastic and enlightening month! Amaravathi, Narender and Karamjit have been brilliant teachers and the course has been so well organized Thank you! The teachers are so great welcoming and I felt at home very quickly. The course itself is intense but rewarding and highly enjoyable an well as challenging I have learned so much more than I expected, the whole experience exceeded my expectations and I’m sad it has come to an end for now!. Thoroughly interesting, enlightening, and eye opening experience. I felt that the teachers were so dedicated, with great knowledge and wisdom at their inbuilt. I fell very well cared for throughout my course. 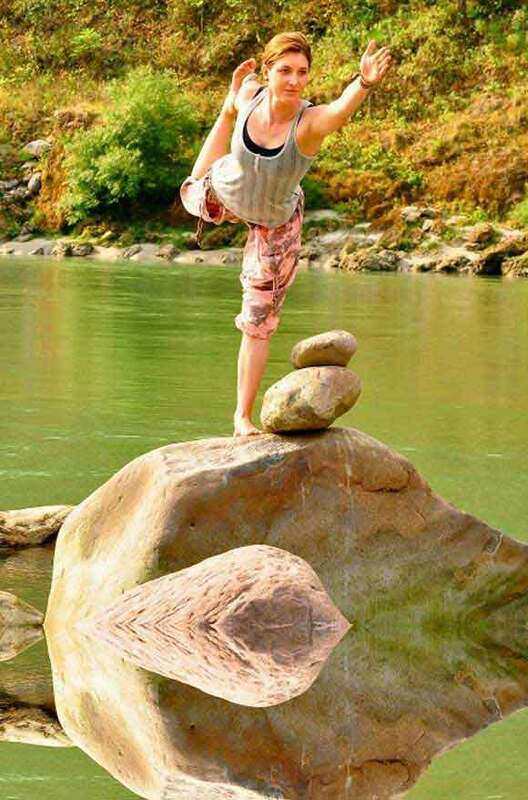 I will leave with a good base knowledge and most importantly an eagerness to learn more and practice more yoga! This program was great! As a beginner in yoga, this class brought me up to speed quickly and confidently. Extremely friendly staff. All of these were taught, but I think they could have been emphasized and practiced more. Much of The adjustments, safety application were left to the students during afternoon sessions. I thoroughly enjoyed this program and thanks to the guidance from the teachers I can now confidently teach Ashtanga Yoga Teacher’s dedication and teaching abilities are truly admirable. He should be praised for his continuous efforts. Swami Ji, Sandeep and Dr. Sumit are all wonderful teachers and mentors. The quality of the teaching staff makes Ajarya a wonderful school. ...Overall, fantastic course, lovely teachers, great food and I was so happy the hotel had a rabbit - it really made me feel at home! (So sad he is now missing) !! Wow, an incredible experience with incredibly kind, knowledgeable and sincere teachers in a beautiful, tranquil location. Thank you, Ajarya! My experience at Ajarya was excellent. I feel that all the relevant teaching and yoga material was thoroughly good. I would highly recommend this to anyone looking to improve their own practice or teaching. ...Highly knowledgeable, kind and patient; Food and Staff - friendly staff and great food, top marks for the chef! I chose to study at Ajarya because they looked professional on the website. I was pleasantly surprised to find they were not only professional, but also knowledgeable, friendly, open and fun. I would highly recommend the Ajarya Yoga Academy to anyone with an interest in Yoga. Thank you for a great time and a great education. I really felt taken care of through the whole program, everything from first contact to accommodation to teaching, to free time (such as visiting sights, going to the doctor and getting a surprise party for my birthday) really was well arranged and high quality. Very professional behavior of faculty. I love the attention that was put in, especially by Lead Yoga Teacher, to every aspect in class and out. I am very happy that I chose Ajarya! This course was excellent. I learnt a lot and really made me realize the importance of a good health. after this i will use yoga in my daily life. I am very grateful. Thank you so much.